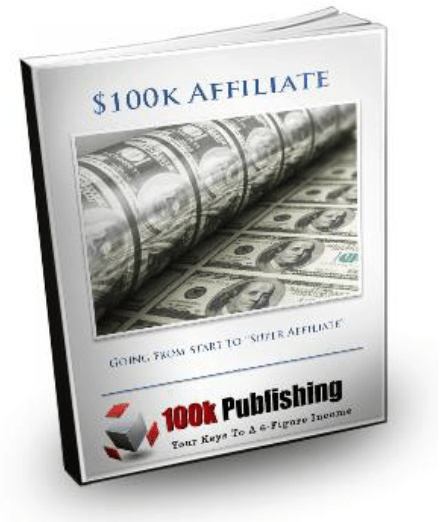 This is a complete affiliate marketing course. Learn how to go from newbie to Super Affiliate! FACT: Most affiliate marketers fail. Heck, most online marketers, affiliate or otherwise, fail. Whether you’ve tried and failed in the past, had some moderate success, or are just starting out: If you don’t want to fail, take the time to read through this entire guide, then follow it to the letter. Think you’re ‘different’ or ‘special’? You probably are. But the above still applies. This report had the benefit of teaching HUNDREDS of internet marketers; even better than that, we’ve had the benefit of watching THOUSANDS of internet marketers via our private forum – for YEARS. Without exception, the ones that followed directions and applied themselves succeeded. Those that didn’t, failed. This guide is divided into sections. After this first section, we’ll do an overview of affiliate marketing, and then an overview of our specific hundred K affiliate blueprint. From there the next four sections go over choosing your niche or topic, what you need to know about content and keywords, creating your website, and finally getting traffic to that website. After that, we’ll go over how to manage your new online business to keep it running smoothly and effectively, and then how to grow it into a sustainable, long-term six-figure business.